In today’s world, consumers are facing increasing information overload, making it more and more difficult for brands to be heard above all of the other advertising noise. This is especially the case on the internet such as on social media, mobile apps and digital entertainment channels like Spotify. This is very important to take notice of, because this is where consumer attention is increasingly heading to, away from traditional advertising methods like the TV, radio, newspapers and magazines. People are simply becoming less and less likely to engage with these type of adverts which is why it’s vital to grab people’s attention online. While it is true that the internet, mobile devices, social media and digital entertainment are where consumer’s attention is more likely to be focused, this doesn’t necessarily make the job of your marketing team any easier. Online you can potentially reach a massive audience, but in fact, in many ways it is now much more challenging to get people to listen. The internet may seem like an almost limitless source of information and therefore increased marketing opportunities, with incredible numbers of people accessing social media channels, being entertained by sites like YouTube, reading news articles online, using search engines, or any other number of different options, but here lies the problem. It was predicted that, in 2017 there was going to be more data created than the previous 5,000 years of humanity! This is an almost mind blowing statistic, and the consequences of this relentless increase in data year on year in people’s lives has created the growing problem of online information and content overload. From data collected in 2015, “41% of people (and 33% of millennials, those aged roughly 18- to 34-years-old) claimed to feel overwhelmed by the sheer wealth of choice on the internet, preferring friends’ recommendations on social media rather than searching for content and products themselves.” It is highly possible that these figures are even higher now. These issues present a significant challenge to brand marketing teams, who must adapt, otherwise they risk further turning consumers off from browsing the web for content discovery or purchases. Instead many people now visit just two or three of their favourite trusted websites, such as their favourite news source, Google and Amazon. This is problematic for brands aiming to attract new customers, but this can be overcome through personalisation. It is because of this ever rising tide of information, and the seemingly endless options and distractions, whether it is email, Facebook, Twitter, Snapchat, Instagram notifications, messages on WhatsApp, games, videos to watch or music to listen to, that people do not want something to waste their time, if it is not specifically useful to them. As everything seems to move faster and faster and there are more and more things trying to grab their attention, one of the most important commodities for people has become their time. People are becoming increasingly savvy to sifting through advertising and marketing and less likely to tolerate anything that they deem to be wasting their precious time. This is why online ad blockers are now so popular to cut out pop-up ads and banner ads, and why people are willing to subscribe to services like Netflix or Spotify. They want to avoid advertising as much as possible, because they know a brand is trying to sell them something that most of the time they have no interest in. People simply don’t have the time or patience for these outdated outbound marketing tactics which also include spam emails or Twitter Auto direct messages. Rather than sell products, these type of adverts are much more likely to turn people away from your brand. By tailoring content and advertising to an individual’s needs and preferences, your brand will help to ensure that this doesn’t simply become lost in the flood of information that now exists and can instead successfully rise above this. As explained by Daniel Bensley from Qubit, we now live in an expectation economy due to the huge digital transformation that has taken place in the last decade. Technology has changed customer expectations forever, so brands need to be authentic to gain their customer’s trust. 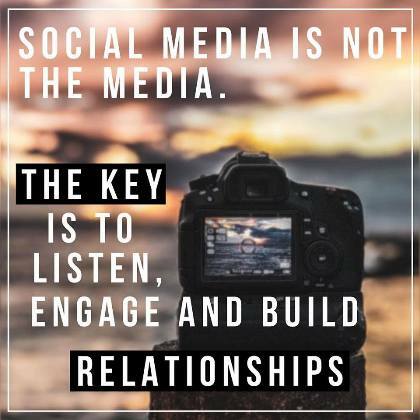 This is one of the keys to creating a personal connection with your current and future customers. By being authentic and showing that your team genuinely cares about the interests of people, rather than just profit, this will attract people to your brand. Brands need to be transparent and no longer have anywhere to hide, especially with sites like TripAdvisor. Marketing teams must also understand that most people don’t necessarily care about your brand, only what it can do for them personally. The days of people showing completely unshakeable loyalty to a brand have been shattered, as they are prepared to quickly switch from brand to brand if they see that it offers them a better price, service or experience. This is very important within the travel industry as consumers are increasingly looking for holidays with personalised experiences. This is why companies such as AirBnb and G-Adventures have become so popular. Both of these and many others offer very personalised marketing with highly engaging social media channels, and teams that can be easily contacted throughout the day either via social media or dedicated sections of their website. Social media is an amazing tool for distributing excellent content that either entertains or educates or ideally both, which people will want to share and engage with. This acts as advertising for your brand, but a style which people recommend to their friends and family, rather than a brand message bombarding and boring them. Through effective Inbound marketing such as content marketing, including amazing videos, photos, blog posts and social media updates which are useful to individuals, they will search out and discover your content. For example a blog post about a destination and different activities to do there, could contain photos, videos and links to different companies. People would head to this article themselves to discover what to do, thus meaning it is something they have personally chosen to look at. They will therefore place much higher value and increased attention on this. While new technology is part of the problem for brands to grab and keep hold of consumer attention, it can also be part of the solution. By investing in new technological programs such as Artificial Intelligence, these can be put to work 24/7 at incredible speeds analysing data and creating a personalised customer experience for individuals based on their internet usage habits and those of other users. Overall it is very important that your company changes its mindset from a one size fits all policy and instead adapts to the expectation economy. People expect to be listened to and receive a personalised experience, and they are no longer likely to listen to brands that fail to deliver this. This is why your company must act now in order to avoid the risk of being left behind. Click here to get in contact with our team.